Yesterday I began writing a Teaching Philosophy. Having never taken a class in education and or educational theory, this was a new experience for me. As a first draft, I realize that this document makes me look more like a student than a teacher. As I refine the document, I will seek examples of how I have implemented these features into my own teaching instead of drawing on how teachers have influence my philosophy of teaching. Nevertheless, I thought I would share with you some of my preliminary thoughts about teaching. In the first semester in my Master’s program, I had a professor who required his students to purchase his lecture notes for the class. At the beginning of our first class, he began to read, word-for-word, the lecture notes. A student asked him a question about the material an hour into the lecture. The professor responded, “I will get to your question later. I believe that a teacher’s responsibility is to get through the material he has prepared for each class. If there is time left over for questions at the end of the class, I will answer whatever concerns you have.” The tragedy for his students was the fact that he never had time remaining at the end of his lecture. It was at this point in my education that I studiously observed not only the material my professors communicated, but also how it was most effectively communicated. Although group-work and group-projects can be stressful and discouraging endeavors for self-motivated students, it is an invaluable tool for the teacher. My Greek professor would divide his students into groups of two or three. 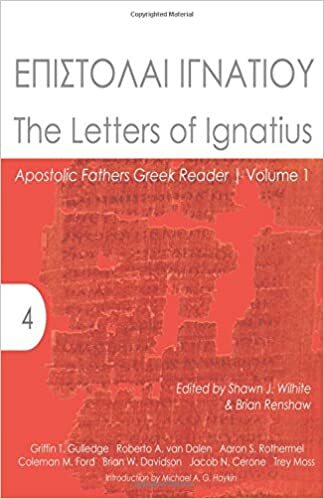 He would assign particularly difficult sections of the Septuagint for us to translate as a group. This forced each participant to evaluate his own abilities in light of his peers. I was constantly asking myself, “How does my vocabulary, memory of paradigms, and understanding of grammar/syntax compare to my peers.” Furthermore, within the group dynamic, students become teachers. Each student possesses strengths and weaknesses. Where one student lacks, others within the group are able to impart wisdom and knowledge. This in tern strengthens the student teacher as he is forced to communicate intelligibly. I have regularly implemented this tool in my Greek and Hebrew classes and, despite the moans and groans, constantly see improvement. All too often professors and teachers give undue weight to external motivation. Class attendance is required under pain of failure. The midterm and final are weighted at 50% of one’s overall grade to ensure that material is memorized. While these are, at times, necessarily evils, some professors use them as an excuse for poor teaching. Teachers should strive to engender in their students the motivation to succeed. Although it is impossible to make every student interested in every class, this truth should not be coupled with external motivation as an excuse for laxity in our teaching. As teachers, we should seek to challenge the student who is bored, encourage the dis-heartened and insecure student, and always look for new and interesting ways to communicate old truths. Finally, teachers must structure their classes so that students can meet expectations. The final semester of my Master’s degree the professor of one class did not provide his class with a syllabus or a class schedule. He lectured and gave quizzes at will. As we reached the halfway point in the class, we continually asked him when the midterm would be given. Each week he would promise us that he would determine the midterm date the following week. Finally, three weeks before the end of the class he gave the midterm, only to give the final two weeks later. A lack of structure breeds frustration. In each of the classes I have taught, I have presented to my students an overview of the class, what is expected from them each week, and how long each class would last. I have found that structure and realistic expectations prevent frustration, resentment, and discouragement. Structure also allows the teacher to earn good will by lessening requirements when material becomes too difficult or the unexpected arises. This entry was posted in Life, Teaching and tagged Philosophy of Teaching. Bookmark the permalink. Good to see you are learning something from Southeastern, even if it is learning from others’ mistakes! There were good examples in there as well as bad. I could have included a significant number of others who positively influenced me ideals concerning teaching.